Following the September 4 announcement of Europe’s still-evolving Plan S, society publishers have been trying to gauge the new funding mandate’s potential effects on its journals. And while some are concerned about the economic implications for journals, many are looking for new opportunities that may result from the changes. As for what is meant by “compliant,” the initiative will, among other things, mandate publication in fully open-access journals—no hybrids allowed—as of Jan. 1, 2020. Other provisions include that research must be published under a CC BY license, that authors retain copyright and that article processing fees (APCs) will be capped, though the amount of that cap has not been specified. The plan’s lack of detail has some wondering about its immutability, but Rob Johnson, Director of Research Consulting in Nottingham, UK, said it probably won’t change before going into effect. Nature reported that Plan S funding agencies were expected to “launch a public consultation on their implementation ideas” by December, but it is unclear whether that will result in changes. Finding the bright spots in a plan that has been criticized for upending society revenue streams and threatening academic freedom might not be easy for many publishers, but Tasha Mellins-Cohen, Director of Publishing for the Microbiology Society in London, said analyzing data might reveal new opportunities. During a recent Copyright Clearance Center webinar on Plan S, she explained how she wrote a script to analyze author, funder, and institutional data to identify authors who are eligible for APCs but didn’t know it. Many society publishers wonder if that goal can be achieved by “flipping” a journal from a subscription model to an author-pays APC model. Malavika has been down this path and found it treacherous. The Biochemical Society’s publishing subsidiary, Portland Press, flipped the journal Bioscience Reports in 2012 and it took six years to get back on track financially. 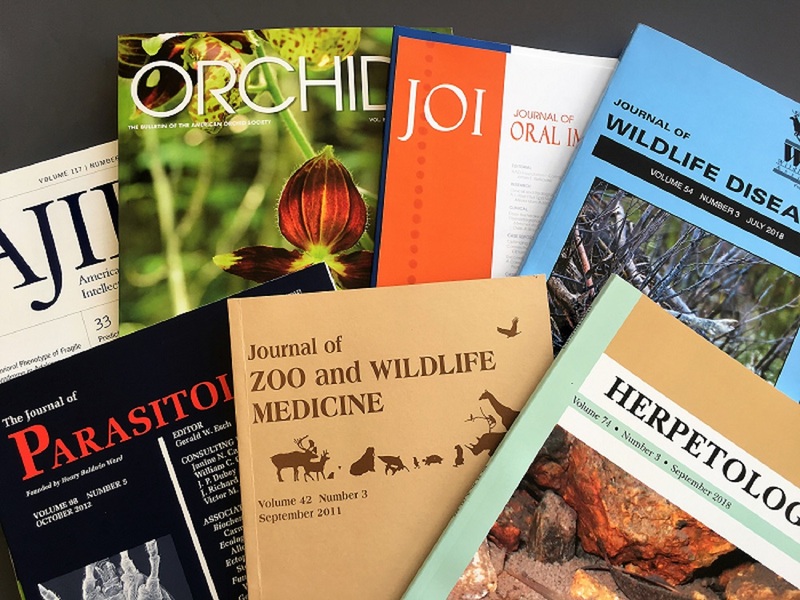 As a journal publisher, Allen Press has not been involved in such a transition and would hesitate to recommend it to any of the societies we work with because the loss of subscription and licensing revenues would necessitate an APC so high that most authors could not afford to publish in the journal. That doesn’t mean that all of the societies we work with are universally opposed to Plan S. Reactions to the plan among editors and society officers we’ve spoken with range from feeling that the plan is good for science in general to concerns that the plan doesn’t take into account the true costs of publishing or may impose too many restrictions on authors. According to Delta Think, an industry consultant, about 3.3% of research worldwide is funded by agencies that support Plan S. But that estimate was published in late September 2018, when only 11 agencies had signed on. As of today, 15 agencies support the plan, including the recent additions of the Gates Foundation and the Wellcome Trust. Rob Johnson, of Research Consulting, said the number could keep growing. “It is important to note that the European Commission’s Horizon Europe funding program, which is worth 100 million Euros over the period 2021-2027 (i.e., very significant), is still in development, and hasn’t formally adopted the Plan S principles,” Johnson said. “The EC has indicated its support for Plan S, so the expectation is that the Plan S principles will be adopted by Horizon Europe as well, but this does remain subject to approval by the European Council and European Parliament.” According to Nature, the original 11 signatory agencies are responsible for 7.6 billion Euros in grant funding each year. As for the rest of the world, journals published in China tend to be OA already, Johnson said, but researchers there are under pressure to publish in English-language journals. Other countries such as India and many in Latin America are wary of APC-based open access because it is simply not affordable. As more details become clear and more publishers, editors, and society officers weigh in, Allen Press will update its coverage of Plan S with more information. Return to our blog and follow us on social media to get the latest information.